Do you remember listening to your favorite radio station with cassette recorder ready ... just to record your favorite songs when you came on? I vividly remember doing this in the 1970's. 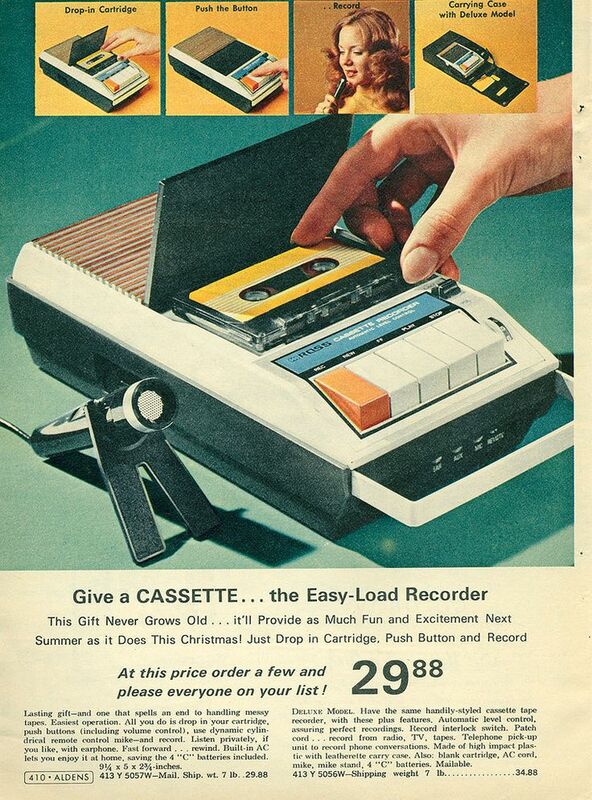 Pictured: a 1972 cassette recorder ad. I'd love to hear your memories in the comments, below. I had so many mix-tapes, even in the 90's! It really doesn't seem like that long ago that I was always hovering over my boom-boxes play/record buttons to make sure that I didn't miss my favorite songs.Technology changes way too quickly! Yes! I am super lucky I have an older car which still has a tape player. I made some darn good mix tapes. I had Paula Abdul's cassette and also used to record myself or the radio with my Talk Girl!